February was a very exciting month for me. Spring is almost here, I’ve been offered trial period promotions at BOTH of my jobs, I blew up a TV, threw a surprise party and ate a TON of cake. Can’t wait to see what March has in store! I realise now that the white doesn’t show up super well on the fabric I chose, but I love the fabric so much that I’m just going to accept that and try not to let it bother me. 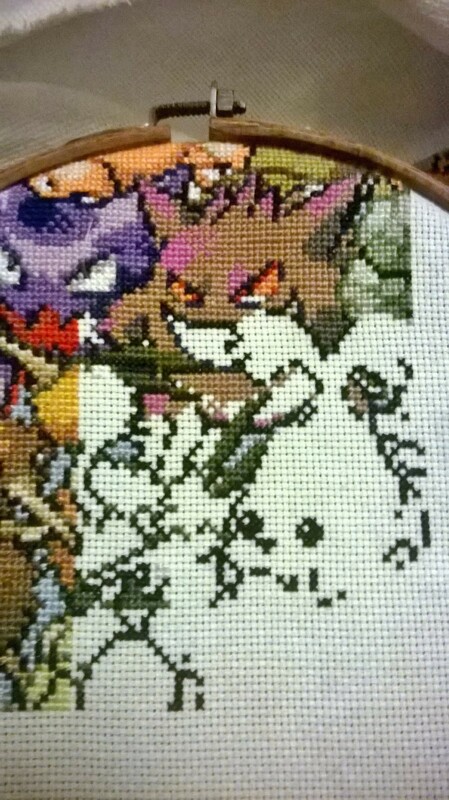 The outlining is probably 80% done now, you can see the cutest little seal face and the ghosts are almost finished now. I’m really enjoying working on both of these pictures, there’s so much colour and joy in them. 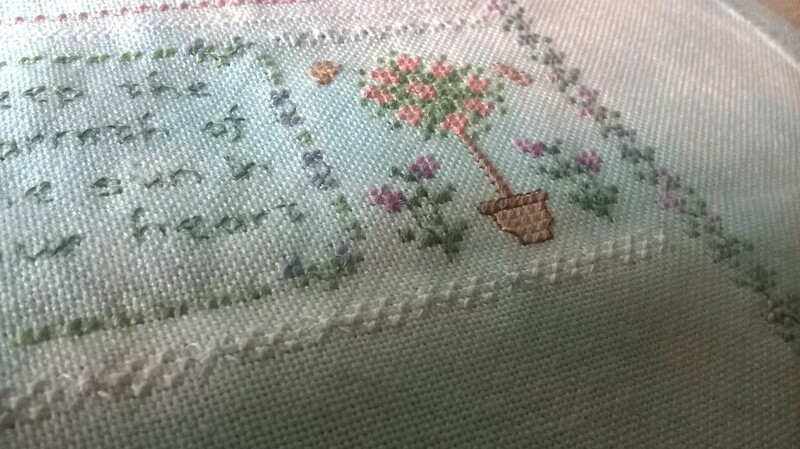 I’m even happier now there’s light to stitch in the evenings after work.